The Challenge before the educationists today is to channelize the intelligent and enthusiastic youth of the country into the nation building process. I strongly believe that right mix of education focusing on head, heart and hand can substantially help in meeting this challenge. The need is to reorient education that concentrates on the development of right attitude, knowledge and skill and that is what we are concentrating upon hear. The success of educational system hinges on planning, administration & evaluation system. Our firm belief in these ingredients has result in developing an environment which is learning conducive, promotes brilliance and enhances engagement at all levels thus enabling us to develop trust, fairness, respect & accountability amongst stakeholders. Our system driven approach has gone well in the group resulting in higher & higher enrollment year after year. Though the marvelous supporting infra structure has created a good ambience but we have gone beyond the physical assets by developing an internal culture with value learning. Instead of relying solely on curriculum, class-room teaching and delivery of content matter, it is our endeavor to give real life experiences for enhancement in competence and calibre of our students. We are further geared for persistent upgradtion of capabilities of our manpower & leverage technology to permeate efficiency and effectiveness in all activities. I call upon all the students who are going to join various programs at our institute, to strive hard to gain knowledge, transform it into skills with right attitude and inculcate the habit of learning, which will drive them to self learning. Philosophy : Nursing is a profession focused on helping the community in achieving and maintaining optimal health and to keep well in all conditions for its components, i.e., persons, families, groups of all ages. It is a life-long service to people. 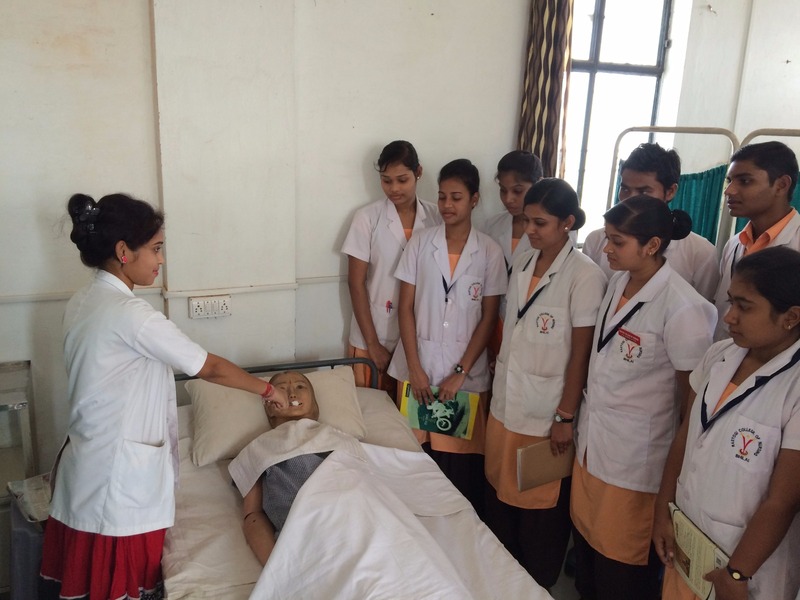 Rastogi group of nursing colleges strongly believes in transforming the students into professional nurses with deep sense of responsibility, dedication, hard-work, sincerity and compassion for the cause of humanity. It aims at development of the health care profession with high levels of standards in tune with modern medical science and reaching the aspiration of community. We are training professionals, just to help and serve humanity. Objective : To upgrade socio-economic conditions of females and to make them self-reliant. To provide the best possible nursing care based on steps of nursing process, so as to provide quality care in clinical and community health settings. To demonstrate critical thinking skills in making decisions in all situatons for understanding of life style & other factors, which affect health of individuals and groups. To promote deeper study of problems encountered in nursing and health arena. 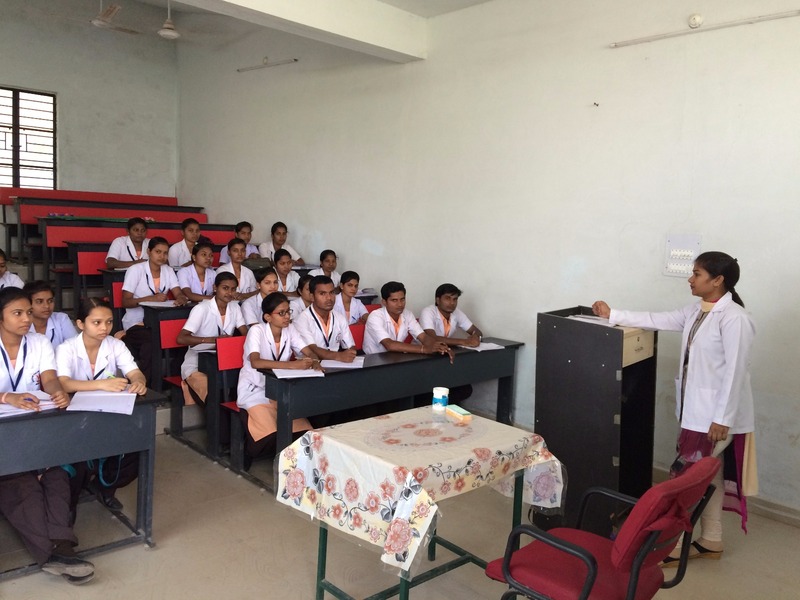 Overview : Our nursing colleges are operated & run by Rastogi Education Society, Bhilai, registered under Chhattisgarh society, Bhilai, registered under Chhattisgarh society Registration Act 1973(44) on 06.11.2006, as a non-profit organization. Presently we have four independent campuses based in Bhilai, Rajnandgaon, Dalli-Rajhara and Dhamatari in Chhattisgarh. The colleges have well equipped Class Rooms, Laboratories, Audio-Visual Projector Room, Auditoriums, Library, Staff Rooms, with well qualified experienced teaching & non-teaching fraternity. Inspiration : To the spirit of Miss. Florence Nightingale, the patron saint of all nurses. She was born in May 12, 1820 at Florence, Italy and died on Aug. 13, 1910 at London, England. Miss. Florence, Pioneer of Modern Nursing, lady with the lamp for nursing. Let us watch her step and obey all rules and regulations being a nurse.